Michael Doran, a senior fellow at the neoconservative Hudson Institute, is a former George W. Bush administration official who is close to militarist factions in the Republican Party. Although he at times espouses views contrary to those of many neoconservatives, Doran has advocated a passel of “regime change” policies targeting Middle East countries. Doran’s track record includes stints as a professor at Princeton University and as a fellow at the Council on Foreign Relations. He served as head of Near East and North African Affairs in the National Security Council (NSC) and later as an assistant secretary of defense during the second George W. Bush administration. Appointed to the NSC post in August 2005, Doran replaced Elliott Abrams, one of the few core neoconservatives who remained in the administration during Bush’s second term. Before joining the Hudson Institute in November 2014, Doran was also a senior fellow at the Brookings Institution. A staunch critic of the Obama administration’s efforts to negotiate with Iran over its nuclear program, Doran strongly denounced the nuclear deal reached between Iran and the P5+1 worlds powers in July 2015. In an op-ed co-authored with Matthew Kroenig for the National Interest, Doran defended Republican presidential candidate Scott Walker’s declaration that he would “terminate the bad deal with Iran” on his first day in office and rebuked comments by another Republican presidential candidate, Jeb Bush, that such an action would be unrealistic. Doran has strongly pushed back against suggestions that the United States should work with Iran to combat the so-called “Islamic State” group in Iraq. “The suggestion of a united U.S.-Iran front is more reminiscent of the wishful thinking among conservatives who argued in the 1930s that Britain and the United States shared a common interest with Nazi Germany in countering communism,” he wrote in a June 2014 piece co-authored with Max Boot. Doran has argued for more U.S. military intervention in the Middle East. In a September 2014 debate organized by Intelligence Squared, Doran joined the Wall Street Journal’s Brett Stephens in arguing that U.S. military actions in the Middle East have not exacerbated the region’s problems. Skeptics of Bush's foreign policy also spoke approvingly of Doran, citing his academic achievements and innovative analyses of Middle Eastern issues. F. Gregory Gause, a scholar at Vermont University, told the Washington Post that Doran wrote "the best piece after 9/11," adding however that his "politics on the Middle East are pure neocon. He believes democracy has to come to the region and America should play a major role. He thinks Arab public expression for the Palestinians is really about anger at their own governments. I disagree." On the other hand, Doran’s views represented an excellent foil for an administration roiled by years of criticism due to its close association with controversial neoconservatives like Richard Perle and Paul Wolfowitz. Although many key neoconservative figures like Wolfowitz and Douglas Feith had left the administration by the time of Doran’s appointment to the NSC, Doran’s arguments provided additional rationales for continued U.S. intervention in the Middle East without neoconservative ideological baggage. Though Doran was broadly supportive of the Bush administration’s agenda in the Middle East, his views have at times contrasted in important ways with those expressed by neoconservatives and foreign policy hawks. For example, in the January/February 2003 edition of Foreign Affairs, Doran struck a critical tone on Israel-Palestine, arguing that "there are many reasons why Washington should distance itself from misguided Israeli policies such as the building of settlements in the occupied territories," a position anathema to most neoconservatives. However, later in the article, he criticized observers who argued that the U.S. priority in the Middle East should be resolving the Israel-Palestinian conflict, not going after Saddam Hussein or Al Qaeda. As "guarantor of the contemporary Middle Eastern order," wrote Doran, the United States "must indeed help address the festering wound of Arab-Israeli conflict, for so long as several million Arabs chafe under unwanted foreign rule the realities of Palestine-as-place will continue to help fuel the disruptive power of Palestine-as-symbol. But those who say that it should be tackled before or instead of Iraq and Al Qaeda have their strategic priorities backward. The near enemies must be met first, both because the danger from them is more urgent and because countering them successfully will actually ease the drawn-out task of addressing the far enemies of occupation, tyranny, and social and economic malaise." 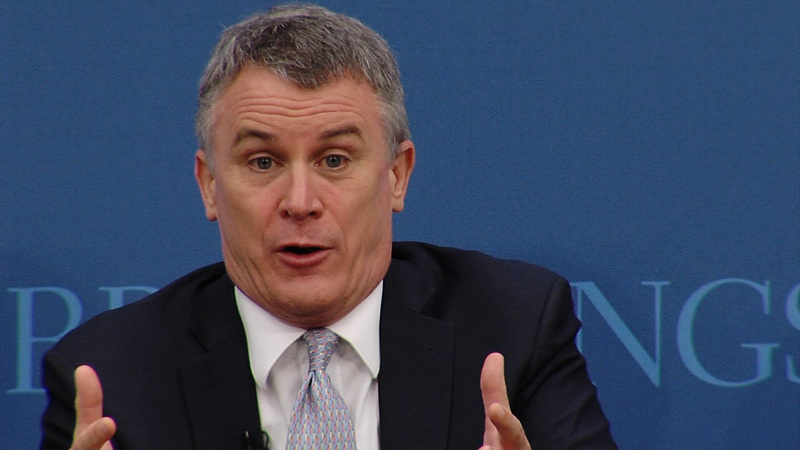 In April 2007, following two years at the NSC, Doran was appointed deputy assistant secretary of defense in support of public diplomacy, working under Eric Edelman. In this capacity, Doran frequently made public appearances to discuss terrorist networks or testify before Congress on the use of the Internet by terrorists. During May 2007 testimony before the Senate Homeland Security and Governmental Affairs Committee headed by Sen. Joseph Lieberman, Doran said that the Internet "is the primary repository of the essential resources for sustaining the culture of terrorism. … The speed with which this dissemination occurs poses a serious challenge to those in the U.S. government working to locate hostile sites and assess their content.”(For more on Lieberman’s chairmanship of the Homeland Security and Governmental Affairs Committee, see Chip Berlet, “Chairman Lieberman’s ‘War on Terror,’” Right Web, September 17, 2008). In September 2008, Doran was nominated by President Bush to be assistant secretary of state for international information programs. However, the nomination was never voted on by the Senate Foreign Relations Committee and was returned to the president in early January 2009. White House, Biography of Michael Doran, http://web.archive.org/web/20080307004410/http://www.whitehouse.gov/government/doran-bio.html (Web Archive); Johns Hopkins University, “Biography of Michael Doran,” Johns Hopkins University Unrestricted Warfare Symposium,http://www.jhuapl.edu/urw_symposium/Images/BioPDF/Doran.pdf. Hudson Institute, “Michael Doran,” http://www.hudson.org/experts/1035-michael-doran. Michael Doran and Max Boot, “5 Reasons to Intervene in Syria Now,” New York Times, September 26, 2012,http://www.nytimes.com/2012/09/27/opinion/5-reasons-to-intervene-in-syria-now.html?smid=pl-share. Michael Doran and Matthew Kroenig, “Scott Walker Is Right on Iran,” The National Interest, July 21, 2015, http://nationalinterest.org/feature/scott-walker-right-iran-13386?utm_source=AM+Nukes+Roundup&utm_campaign=6440245a12-AM_Nukes_Roundup&utm_medium=email&utm_term=0_547ee518ec-6440245a12-391751093. Michael Doran, “Obama’s Secret Iran Strategy,” February 2, 2015, http://mosaicmagazine.com/essay/2015/02/obamas-secret-iran-strategy/. 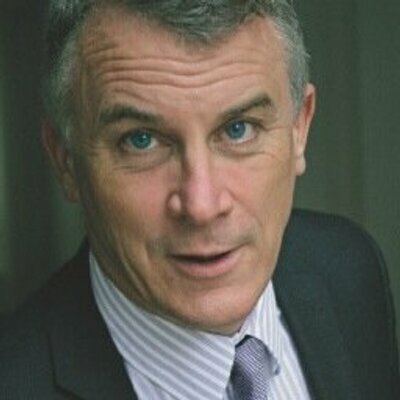 Hudson Insitute, “Prepared state by Michael Doran,” December 3, 2014,http://www.hudson.org/content/researchattachments/attachment/1441/sfrc_testimony_michael_doran.pdf. Tony Lee, “EXPERT: OBAMA INTENT ON CIRCUMVENTING CONGRESS TO CAVE ON IRAN DEAL,” Breitbart, February 16, 2015,http://www.breitbart.com/big-government/2015/02/16/expert-obama-intent-on-circumventing-congress-to-cave-on-iran-deal/. Michael Doran and Max Boot, “The United States should not cooperate with Iran on Iraq,” The Washington Post, June 17, 2014,http://www.washingtonpost.com/opinions/the-united-states-should-not-cooperate-with-iran-on-iraq/2014/06/17/f3144b9c-f63e-11e3-a3a5-42be35962a52_story.html. Paul Pillar, “Fear of a Decrease in Fear of Iran,” LobeLog, June 22, 2014, http://www.lobelog.com/fear-of-a-decrease-in-fear-of-iran/. James Glassman and Michael Doran, “The Soft Power Solution in Iran,” Wall Street Journal, January 21, 2010,http://online.wsj.com/article/SB10001424052748704541004575011394258630242.html. Intelligence Squared U.S., “Flexing America’s muscles in the Middle East will make things worse,” September 30, 2014,http://intelligencesquaredus.org/images/debates/past/transcripts/093014%20Middle%20East.pdf. Seymour M. Hersh, "Last Stand," The New Yorker, July 10, 2006, http://www.newyorker.com/archive/2006/07/10/060710fa_fact..
 Chanakya Sethi, "NES's Doran Rumored for National Security Council Post: Said to be Pick for Israel-Palestine Affairs," Daily Princetonian, May 11, 2005,http://www.dailyprincetonian.com/2005/05/11/12903/. Michael Scot Doran, “Somebody Else’s Civil War,” Foreign Affairs, January/February 2002. http://www.foreignaffairs.com/articles/57618/michael-scott-doran/somebody-elses-civil-war. White House, Biography of Michael Doran, http://web.archive.org/web/20080307004410/http://www.whitehouse.gov/government/doran-bio.html (Web Archive). Robin Wright, "An Eye for Terror Sites: NSC Puts Scholar in Charge of Middle East," Washington Post, November 17, 2005,http://www.washingtonpost.com/wp-dyn/content/article/2005/11/16/AR2005111602120.html. Michael Scott Doran, "Palestine, Iraq, and American Strategy," Foreign Affairs, January/February 2003,http://www.foreignaffairs.com/articles/58616/michael-scott-doran/palestine-iraq-and-american-strategy. Joshua Landis, “The Paris Opposition Meeting Is a Bust,” SyriaComment.com, October 18, 2005, http://faculty-staff.ou.edu/L/Joshua.M.Landis-1/syriablog/2005/10/paris-opposition-meeting-is-bust.htm. Quoted in Technology Daily, " Security; Terrorist Activism Online Concerns Experts, Lawmakers,” Technology Daily, May 3, 2007. Federal News Service, “Foreign Press Center Briefing; Subject: Countering Ideological Support for Terrorism," December 13, 2007,http://thecsquare.blogspot.com/2008/01/countering-ideological-support-to.html..
 Library of Congress, THOMAS, "Nomination: PN2083-110; Nominee: Michael S. Doran,” received by the 110th Congress, September 26, 2008.